The Baldrige Award is the highest level of national recognition for performance excellence that a U.S. organization can receive. Donor Alliance is one of only six Colorado organizations ever to achieve the Baldrige Award in its 30-year history. (City of Fort Collins, 2017; Elevations Credit Union, 2014; Poudre Valley Health System, 2008; Kenneth W. Monfort College of Business, 2004; Operations Management International, Inc., 2000.) This year’s only honoree in the nonprofit category, Donor Alliance becomes the second federally designated organ procurement organization to earn Baldrige recognition, following St. Louis-based Mid-America Transplant (2015). Only five U.S. organizations were named 2018 winners following review by an independent panel of judges and evaluation by a board of examiners. This year’s Baldrige Award recipients were selected from a field of 27 finalist applicants, each of whom had prequalified by winning a Baldrige-based performance excellence award at the state or regional level. For Donor Alliance the award is the culmination of a near decade-long performance excellence journey that included marked achievements in engagement, organizational effectiveness and sustainability. With a mission to save lives through organ and tissue donation and transplantation, Donor Alliance has increased the number of organ transplants steadily over the past five years and boasts some of the nation’s highest donor designation rates; directly translating to more lives saved and healed through transplantation. The 2018 Baldrige Awards will be presented at a ceremony on April 7, 2019, during the Baldrige Program’s 31th annual Quest for Excellence® conference, which will be held in National Harbor, MD. The Baldrige Award was established by Congress in 1987 and is not given for specific products or services. Since the first group was recognized in 1988, 123 awards have been presented to 115 organizations (including 8 repeat winners). 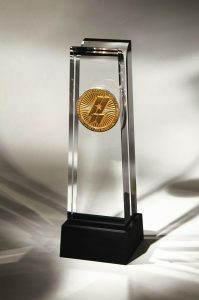 The Baldrige Program raises awareness about the importance of performance excellence in driving the U.S. and global economies; provides organizational assessments, training, tools and criteria; educates leaders in businesses, schools, health care organizations and government and nonprofit organizations; shares the best practices of national role models; and recognizes those role models with the Baldrige Award. The Baldrige Program is a public-private partnership managed by NIST and funded in part through user fees, with some support from the Baldrige Foundation. For more information, visit the Baldrige Performance Excellence Program website. Donor Alliance is a not-for-profit organization dedicated to saving lives through organ and tissue donation and transplantation. As the organ procurement organization and accredited tissue bank for Colorado and most of Wyoming, Donor Alliance serves more than 5.8 million residents and more than 100 hospitals. 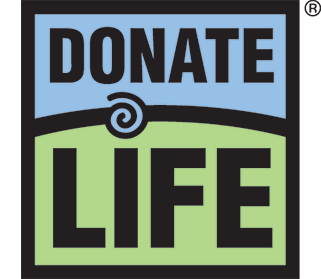 The organization adheres to medical, regulatory and ethical standards: respectfully working with the families of organ and tissue donors, maintaining partnerships with hospitals, educating residents on the life-saving benefits of donation and inspiring them to sign up on the state’s donor registry. Colorado and Wyoming boast some of the highest rates of donor registration in the country, which directly translates to more lives saved and healed through organ and tissue transplantation.